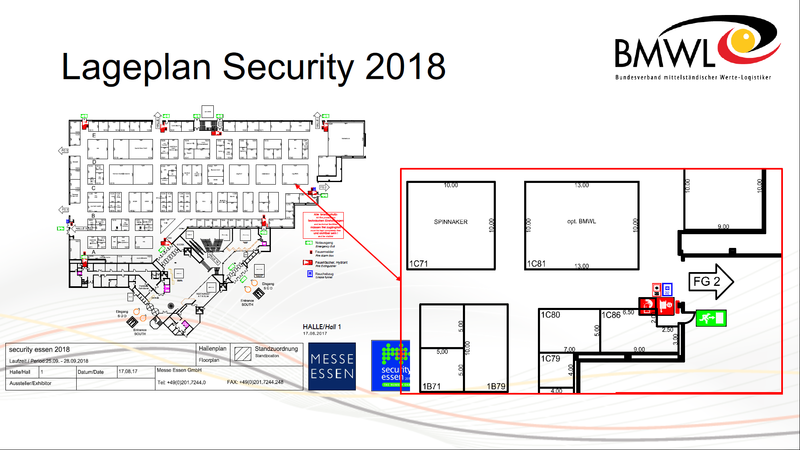 The Security in Essen is one of the largest exhibitions for the security sector in the world and this year – we are a part of it. Together with our partners from the BMWL, an association of German medium sized cash logistics companies, we have designed a community booth in Hall 1 C81., where our visitors are able to experience the cash cycle through the eyes of its various representatives. Every exhibiting company is playing its role in ensuring the safe and efficient circulation of cash. From safebag, vault lock, coin and banknote processing and transportation to integrated software platform you will be able to dive into each aspect of cash logistics and supply. Join us and our partners in the presentation of the latest innovations the sector has to offer. As if this wouldn’t be enough to entice you to visit us, we have prepared something extra special for you on Wednesday the 26th of September at 10 am. 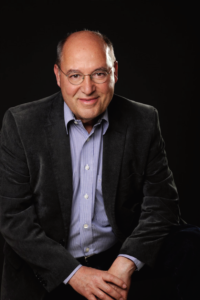 We have managed to organise a high-profile panel discussion where, among others, member of the German parliament Dr. Gregor Gysi will discuss the importance of medium-sized companies in the field of cash logistics and supply. We invite you to join our guests and us in the conversation and are looking forward to your visit. 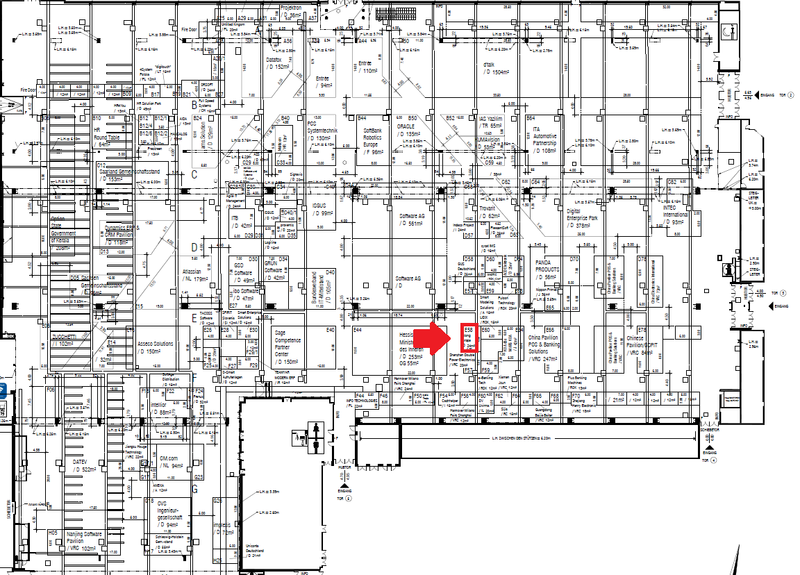 Just like last year we will be part of the world’s biggest IT exhibition, with our own booth, to present to you the newest generations of our innovative product lines. In this year our focus is not only on the physical processing of cash but also on its digital component. We invite you to visit us at our booth (Hall 017, Stand E58) to discover what kind of possibilities and opportunities the digitalization of the cash handling process will bring. 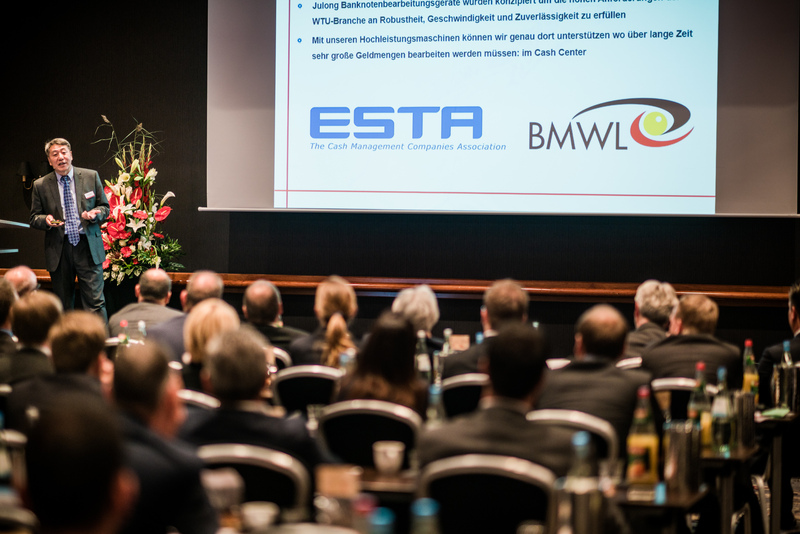 Representatives of banks, cash-in-transit companies, hardware manufacturers and many other related fields met on 18. and 19. of September in Leipzig to discuss the future of cash. This year’s motto: “Digitalization Knows No Bounds – Cash Processes 2.0”. 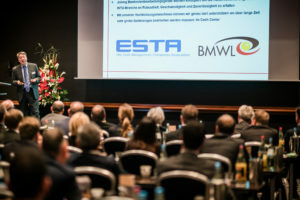 Numerous presentations by experts gave insights into market trends, innovative visions for the future and new solutions. One of the presenting experts was our very own Dr. Frank Feng, head of the National Financial Security and System Engineering Research Center within Julong Co. Ltd., our Chinese mother company. Dr. Feng shared his expertise in the current Chinese cash logistics processes with the audience and gave an outlook on the future developments in China. Julong is not only China’s market leader in cash processing technology but is also operating more than 100 cash centers that, licensed by the People’s Bank of China, are responsible for a reliable supply of cash in their respective regions. Apart from our presence on stage we were also represented in the exhibition portion of the conference. In the spirit of the event we wanted to cast our gaze forward into the future. Together with our visitors, we wanted to think about how to optimize the processes in their cash centers and in our eyes, automation is the key. Julong systems such as the JL8000S increase performance and quality and will ensure that our customers are ready for the future. We are proud to announce that Julong Europe has joined the European Security Transport Association (ESTA) as an adherent member. We are hoping to benefit from the immense concentration of experience and know-how this organization is able to channel and want to do our part in making cash logistics across Europe safer and more efficient. To show our determination we have decided to join this year’s ESTA conference, held from 14-16 May in beautiful Cascais, Portugal, as an exhibitor. This gives us a chance to show the other members what Julong can bring to the table and how we can effectively support them in their everyday business. We will exhibit our fully automated banknote processing system JL8000SEU that will enable our customers to carry out the entire cash handling process, from feeding to bundling to packaging, in an efficient and secure manner, while stationing just a single operator at the machine. We are also pleased to welcome Dr. Frank Feng from the National Financial Security and System Engineering Research Center, who will offer a unique perspective on the Chinese cash handling process and payment solutions during crisis situations. From 20th until 24th of March the worlds biggest IT exhibition will open its doors to present the latest innovations of the digital world to interested visitors. The „hot topics“ this year are not only software related, such as the progress made in the fields of artificial intelligence or cloud technology, but also hardware like drones or the amalgamation of the two with the „internet of things“. As an exhibitor at CeBIT we at Julong would like to present our banknote processing solutions to you. At our booth (Hall 16, Booth E53) we will dedicate ourselves to the question of how we can make the cash handling process more cost- and time-efficient and will show you our innovative answers. 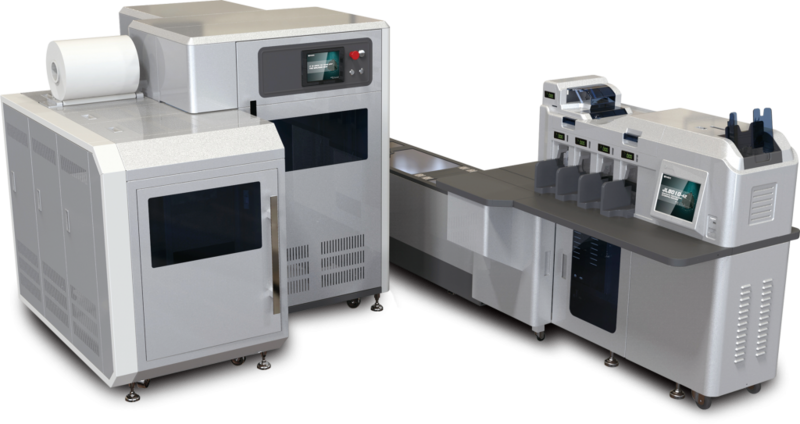 Centerpiece of our display will be the fully automated JL9610 system, which will allow you to complete all the tasks necessary when processing cash, like sorting, bundling, strapping, shrink wrapping, stamping and documenting, using just one system and a single operator. Apart from big cash center systems we will also present our banking and retail solutions, starting from 2-pocket desktop counters to 8-pocket fitness sorters. We would like to extend to you a heartfelt invitation to visit us at our booth and experience our products up close. We take pride in our high-quality products and at CeBIT you have the chance to see for yourself. See you in Hanover! We make sure you are ready for the new 50€! We at Julong take our responsibility and role within cash circulation very seriously, which is why all of our products, available on the European market, are already ECB-certified to handle the new 50€ banknote, since April. This not only gives our customers the reassurance that they will be able to continue using our machines in the future, but also gives them enough time to prepare themselves for the release of the new note. To access the complete list of all ECB-certified machines please click here. Choose “Staff-operated machines” and then click on the link below to download the comprehensive and up-to-date list. To further support the transition towards the Euro’s Europa series, we have taken the Bundesbank up on their offer to borrow multiple printing versions of the new 50€ banknote. This allows our customers to test their machines compatibility with the new note before it is release on April 4th, 2017. The new 50€ is not only of great interest to law-abiding citizens of the euro zone, as a means of payment, but also to international gangs of counterfeit makers, since almost 50% of all banknotes currently in circulation are 50€ bills. To support the ECB and the Bundesbank in their fight against counterfeit cash, we have offered a number of our machines, free of charge, to the anti-counterfeit test center of the Bundesbank in Mainz. The test center will enable the Bundesbank to quickly evaluate the possible damage, new versions of counterfeit banknotes found in the market, will cause. This will allow for a quicker and precisely targeted response to the threat. Julong machines are thus constantly tested against the newest and most advanced versions of counterfeit notes. Additionally we are happy to once again welcome the employees of the Bundesbank to their annual visit to our headquarters in Anshan, China. 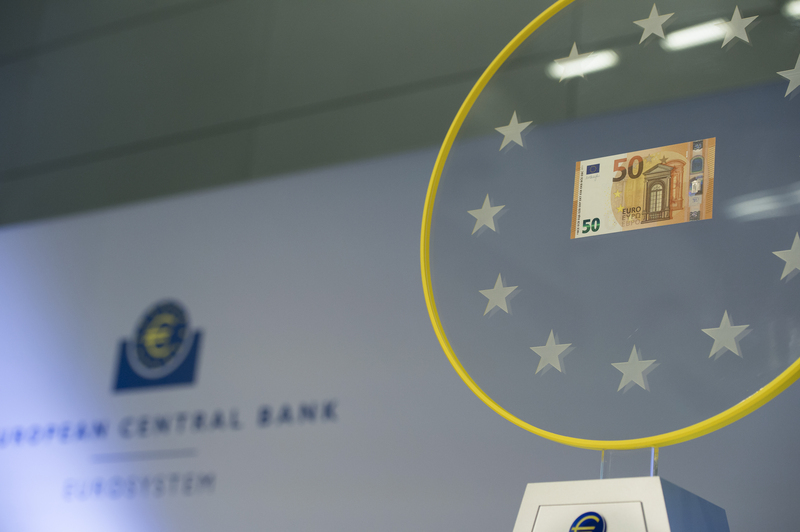 They will perform the ECB-test on our entire banknote processing portfolio in August, to ensure the continuous ECB-certification of all our products. Together with the annual tests, performed by the Bundesbank at our European subsidiary in Frankfurt and the regular monitoring tests by various national banks all across the Eurozone, this represents a comprehensive quality control of our products. Our customers can thus rest assured that with our banknote counters and sorters they are in possession of reliable, tested and certified products that will help them with their daily cash processing needs. 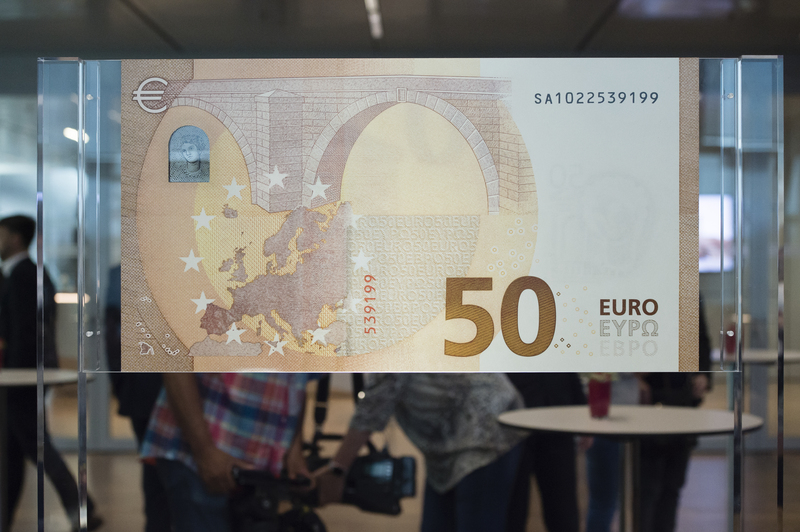 On Tuesday, 5 July 2016, the new 50€ banknote of the Euro’s “Europa-Series” was revealed by the European Central Bank (ECB). The security features are similar to those of the 20€ banknote, released on 25 November 2015. 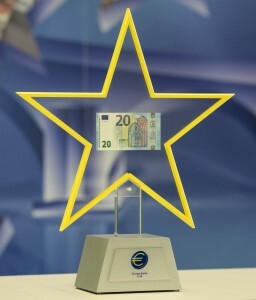 The portrait window, which depicts the namesake of the second Euro series, the mythological figure Europa and other security features, like the emerald number or the raised print on the sides, will help to quickly validate the banknote’s authenticity by using the “feel-look-tilt” method. The new banknote will be made available to the public on 4 April 2017 and will help to make daily cash transactions, of over 330 million citizens of the Euro zone, even safer. The chosen date will leave ample time for manufacturers of banknote processing and authentication equipment to make sure their devices are compatible with the new note, in order to guarantee a smooth issuance. To see the press release by the ECB in English please click here. As a member of the Partnership Programme, Julong Europe has received this video from the ECB and published it with their permission. Julong, as one of the largest banknote equipment manufacturers in the world and member of ECB’s partnership programme, was invited to the Banco de España in Madrid, on 15 June 2016. 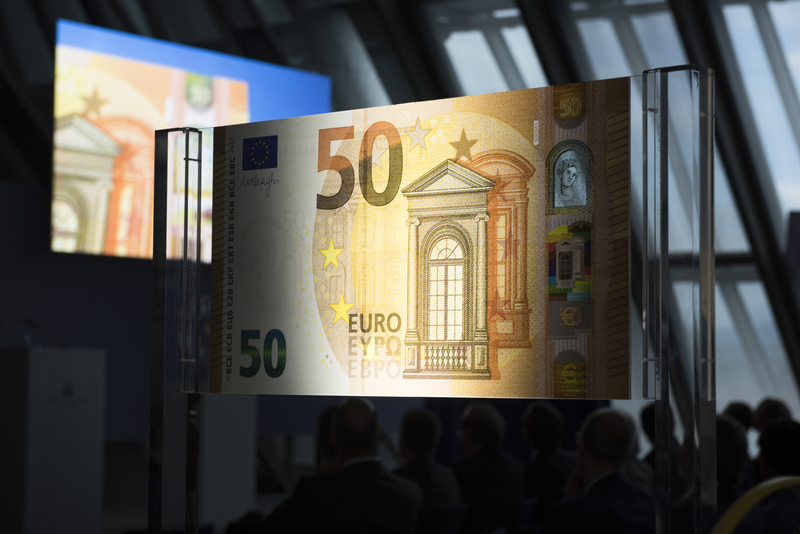 At the conference, representatives of the industry and the national banks discussed, together with the ECB, strategies to introduce the new 50€ banknote to the market as smoothly as possible. 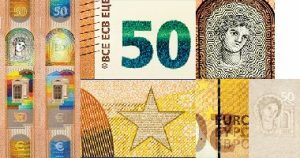 The issuance date of the note, in spring 2017, should give manufacturers enough time, to make sure their customers’ machines are compatible with the new 50€ on time and starting July, manufacturers are allowed to borrow the new banknotes at their respective national banks, to help them adapt their machines. By signing a Memorandum of Understanding all participants further showed their commitment to make the release of the new 50€ a success. €20 can mean many things to many people. Whatever they may be, the new €20 banknote, with its innovative security features, will ensure that cash transactions are secure and that all of the 338m Europeans are able to use their €20 to create their own special meanings. The new €20-banknote of the ECB’s Europa series will be released on 25 November 2015 and as part of “our money” will also become part of our life. 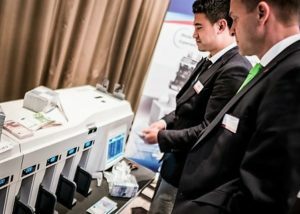 Julong is honored to invite its fellow banknote equipment manufacturers (BEMs), the European Central Bank (ECB) and organizations representing the banking, retail, and security transportation business to a meeting to have first exploratory discussions about the establishment of a European BEM Association. The meeting will take place on 12 November 2015, at the premises of the ECB in Frankfurt am Main, Germany. First suggestions to form a European BEM Association emerged during the signing of the Memorandum of Understanding (MoU) in July 2015. The idea was to create an organization that will facilitate communication with both the ECB and the customers, as well as amongst the BEMs themselves. The sharing of information and mutual support will make it easier for all parties involved to fulfill the commitment they made with the signing of the MoU. The BEMs, the ECB, and the customers will all benefit from increased efficiency and co-operation, smooth ES2 releases, and secure cash transactions. The Federal Criminal Police Department and Federal Bank of Germany addressed banks and CIT (cash-in-transit) companies, to warn them of a new 500€ counterfeit. The counterfeit was first detected in the Netherlands and has recently made it to Germany. Apart from the monetary value of the banknote, it is the close resemblance to the original that is the biggest cause for worry. Authentication devices that are not equipped with the latest security technology will have difficulties distinguishing fake from genuine note. The test set used by the Federal Bank to test our machines in August 2015 already included the aforementioned counterfeit and all the Julong machines passed the test with flying colors. All of our machines, even the compact JL206-series, are equipped with high-quality image recognition modules, which include at least two high-resolution (200 dpi) CIS. Julong’s extraordinary commitment to security will ensure that even the slightest irregularity is picked up by our machines. Here you can find a list of staff-operated devices successfully tested by the European Central Bank. The last column of the table shows the version of the test set used. Test set number 43 contains the counterfeit 500 Euro bill. 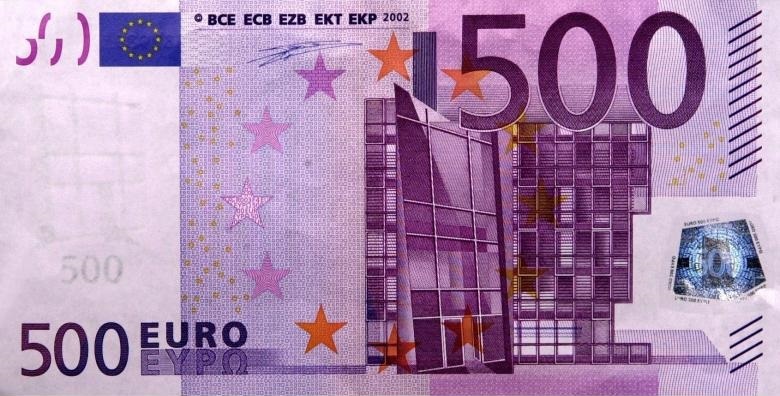 The appearance of the 500€ “super”-counterfeit on the European market shows that security is more important ever. With the release of the ES2-series’ new 20€-bill in November, only the large denominations 50€, 100€, 200€, and 500€ remain. And they are not only interesting to counterfeiters because of their monetary value. The uniqueness of the serial number makes it the perfect authentication feature and Julong can offer its know-how and years of experience in the area of serial number recognition to secure cash transactions. 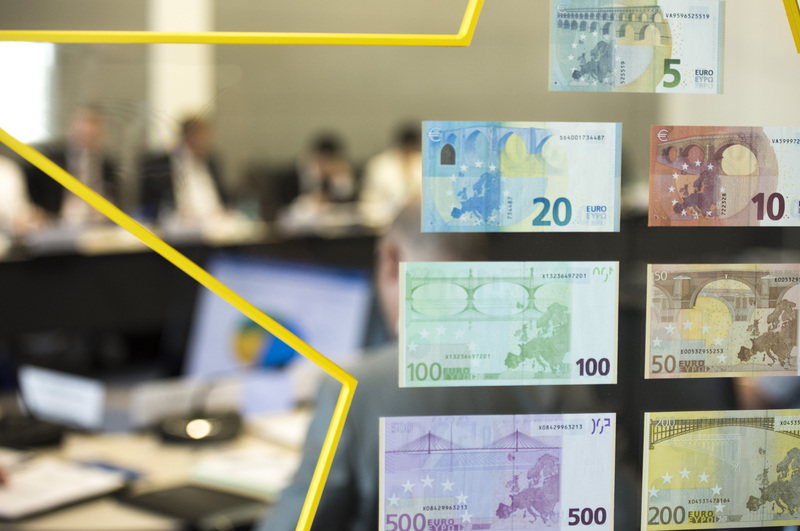 That is why Julong is sharing its expertise with the ECB to work on the logistics of combating counterfeit money through serial number recognition. The accumulation of counterfeit serial numbers and their redistribution to banks and banking equipment manufacturers, in form of blacklists, has been common practice in China for a long time. Thus banknotes with suspicious serial numbers can be filtered out directly at the counter. Julong machines are already able to recognize serial numbers and match them with blacklists. The blacklists can be stored on the machine itself or fed via a network connection. Julong participated at a meeting of partners of the European Central Bank and signs the memorandum of understanding (MoU), showing its commitment to a successful launch of the new 20€ bill. 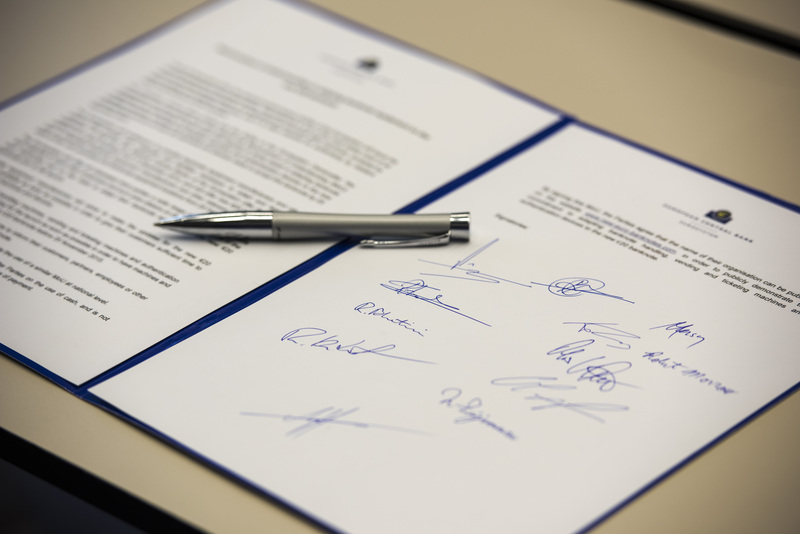 By signing the MoU, Julong is committing to do everything it can to ensure that all of its banknote processing machines will be ready to process the new 20€ bill until its release on the 25th November 2015. Julong is also offering its help to all those, whose machines cannot or have not yet been updated to accept the new note and is prepared to do its part to ensure that the issuance of the 20€ bill into the euro zone will be a success. Following you will find an excerpt of the press release of the signing of the memorandum of understanding between the European Central Bank and its partners. The European Central Bank today signed a memprandum of understanding (MoU) with European industry associations, banknote equipment manufacturers and other partners. The memorandum of understanding aims to ensure machines and devices across the euro area are ready to accept the new 20€ banknote as of 25 November 2015. The partners will inform their networks about the new 20€ banknote. The ECB and the national central banks of the Eurosystem will continue providing partners with assistance to adapt and test their devices. 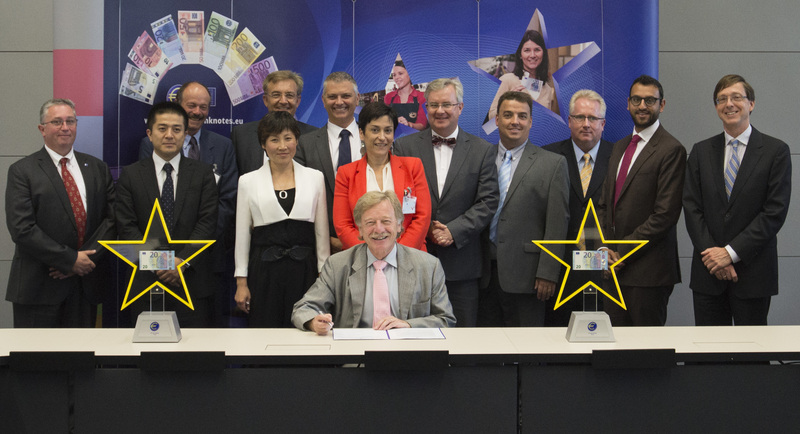 Signing of the memorandum of understanding by the ECB and its partners.